This video is one of several late-1970s Nebraska TV sign-offs recently unearthed by YouTuber bigO! playbax. It's that of Omaha's current NBC network outlet from its previous stint as a CBS affiliate. The clip commences with two promos for Action News 6, which are followed by one for the Omaha Symphony. Up next is Calendar of Events, a two-minute rundown of various goings-on in the Channel 6 service area. After a WOWT Heart Auction PSA, station ID and mailing address comes one of the two "Coming Home" SSB films provided by the U.S. Navy.  This is followed by the 1965 Television Code SOGP, fifty seconds in length, then it's the station sign-off, voiced by Dale Munsen, who was also Action News 6's weatherman seen earlier in the clip. Except for the final sentence, the SOGP and sign-off announcements are the same as that used by KRON-TV 4 in San Francisco, WOWT's sister station at the time. When Channel 6 first began telecasting in August 1949 as WOW-TV, it was the first television station in the state of Nebraska. It was the creation of Omaha's pioneer radio station WOW, now KXSP AM 590. Originally a primary NBC affiliate with a secondary relationship with ABC, WOW-TV in 1956 traded network affiliations with KMTV Channel 3 and become Omaha's CBS station, which continued as such up to 1986 when Channels 3 and 6 swapped networks again. Channel 6's calls became WOWT in 1975 when San Francisco-based Chronicle Broadcasting purchased the station (WOWT is currently owned by Gray Television). WOWT's most famous alumni was Nebraska native and long-time former host of NBC's The Tonight Show, Johnny Carson.